Starting university is many things, it’s fun, intimidating, exciting, and challenging. Suddenly becoming a student amongst hundreds of other students all beginning to study engineering is a unique experience. One of the things that stood out to me right away was the strong sense of community that has been created here at McMaster. I ‘m grateful to have found such a welcoming and supportive community that everyone works so hard to create. I knew I wanted to contribute and learn more about how everything worked in the McMaster Engineering Society. However, even as I learned about some of the roles students played in the society I still didn’t know how I could be part of that. In first year you learn so much academically that it can feel difficult to balance that with learning about all the associations, and societies that play important roles in engineering. 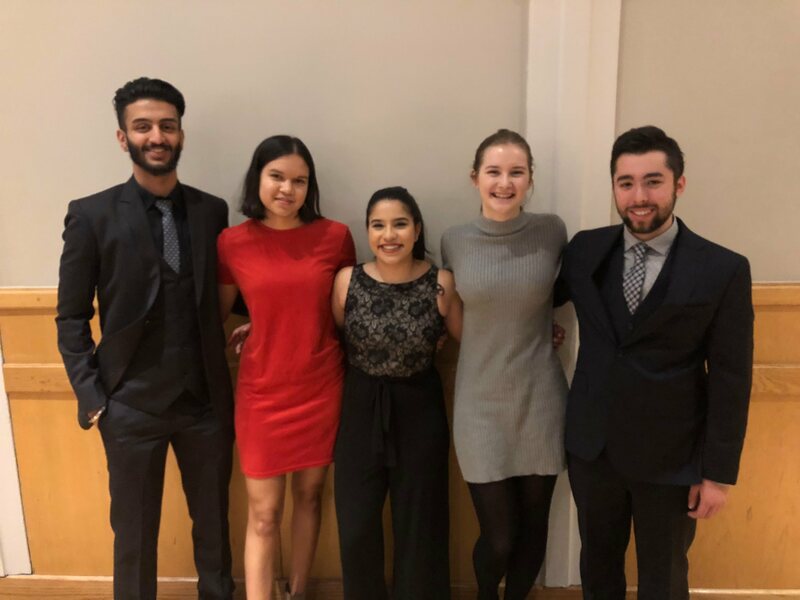 Getting to attend ESSCO’s First Year Integration Conference was the perfect way to help myself, and other first year students from across the province learn about how engineering societies and professional associations function, and how we can be a part of that. At the conference there were many interesting and inspiring speakers. It was one of the first chances I got to speak to working professionals in various engineering professions, and as a first year I think it’s important to get the chance to interact with people who are potentially doing things you’re interested in. Getting to meet other students in upper years who are very involved with their engineering societies helped me realize that they all started off in the same position I’m in. As a first year I often feel like I don’t have the necessary skills or knowledge to be in these influential roles, but I realized you have to start somewhere. If you are passionate about something or want to make a change then it’s worth it to try, even if you don’t feel fully prepared for it. I realized, and I hope other first year students realize, that our perspectives and ideas are important within the McMaster Engineering Society and the faculty as a whole. I think one of the most important presentations I heard at FYIC was on diversity and inclusion in engineering. There are so many different types of people who are interested in engineering and I think one of the most important things that engineering societies can do is to create communities where all people feel comfortable learning and sharing ideas. Meeting all the delegates at FYIC helped me realize how even though we all come from different universities, we shared many common ideas. We didn’t always agree on everything, but everyone still got a chance to share their perspectives. I really enjoyed being in an atmosphere that was so open to discussion. Getting to attend FYIC is definitely one of my highlights from first year. I gained so much confidence by getting to share ideas with other first years who were each so passionate about engineering and getting involved in their own universities. In the beginning I was intimidated because this was my first conference and I had no idea what to expect, but I left it knowing the many ways I can be a part of the MES and feeling an immense pride and love for McMaster and the community that I have here.